Richard Evans and Rory Curnock Cook both had their first taste of business at an early age. At four, Evans was charging his parents and their friends a reasonable 20p to watch his teddy puppet shows, while Cook claims to have made a staggering 100 francs selling snail shells from a market stall in the South of France when he was just six. Now aged 25, they’ve moved on from amateur dramatics and dead mollusks, into the world of education. After finding not just financial, but personal rewards in tutoring while he was at university, Evans, alongside Cook, decided to turn his new found passion into a business. Their first business The Profs is a London-based online platform providing private university tuition. It offers everything from free online resources to weekly mentoring and one-on-one exam coaching from specially chosen lecturers, PhDs and industry specialists – charging 25% commission to their tutors for connecting them with clients. 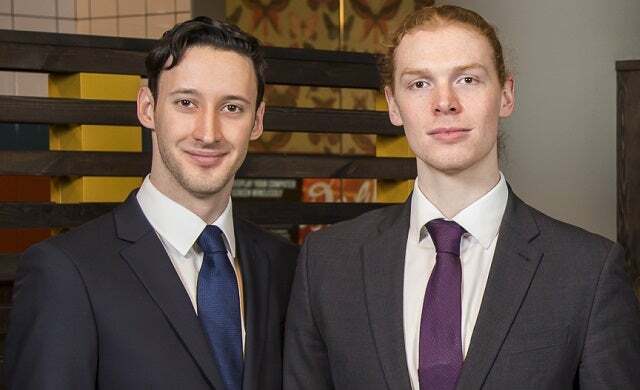 The duo has now reinvested the profits from The Profs into a new education technology (edtech) venture, BitPaper: an online collaborative whiteboard allowing students and lecturers to synchronise their notes and sketches in real time. Currently in beta, the plan for BitPaper is to “break down the barrier between computer notes and traditional pen and paper”. So far both businesses have been entirely bootstrapped and the company has been able to move into a central London office and expand internationally without raising external capital. Ultimately, Evans says their ambition is to “create a global knowledge-sharing economy that helps improve teaching standards around the world”. Projecting turnover of more than £750,000 for 2016, the young entrepreneurs’ plans look more than achievable.